With the announcement of California’s first privately financed forest fire bond, Blue Forest Conservation’s Forest Resilience Bond is making history. The $4 million fund was fronted by primary investors SAA Insurance Group — part of AAA — and investment firm Calvert Impact Capital, with plans for Yuba Water Agency and a grant from the California Department of Forestry and Fire Protection (CalFire) to repay the bonds through annual payments. These stakeholders are investing in the health of forests, removing debris and sediment, and funding work that directly lowers the risk of both wildfires and drought in California. Blue Forest Conservation (BFC)— a Larta USDA 2017-2018 CAP1 company and current CATP company— seeks to prove that private capital can fuel public good, through the intersection of private investors, utilities, and public institutions. Co-partners Nick Wobbrock and Leigh Madeira describe the inception of BFC as if “a Peace Corps volunteer and a Wall Street bond trader walked into a bar.” While the conjunction of seemingly polar opposites may seem counterintuitive, BFC’s novel approach to sustainability was conceived from these different skill sets, but connected through shared values. 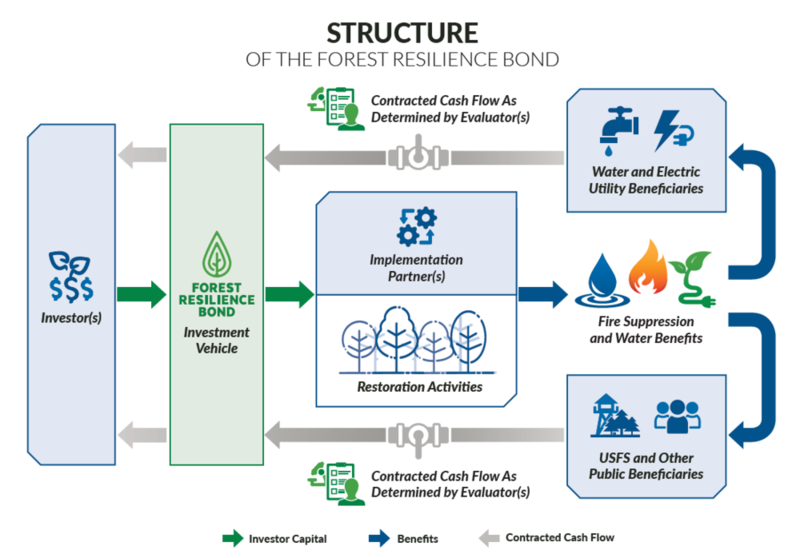 Their model is simple: the Forest Resilience Bond creates a vehicle for private stakeholders to invest in underfunded public conservation projects. Financial engineering on BFC’s part targets and funds previously permitted public projects, providing a return to investors. As a Public Benefit Company, BFC has created a firewall ensuring that private investors don’t determine the projects that BFC undertakes, and that the direction of forest restoration is driven by public need. For more about BFC’s innovative approach, please read our April 2017 interview Nick and Leigh. Sheriden Smith, Larta’s Public Relations Associate, is co-director of Ideas, Energized, and manages Larta’s various social media platforms, as well as the development of Larta's public image through external events and partnerships.